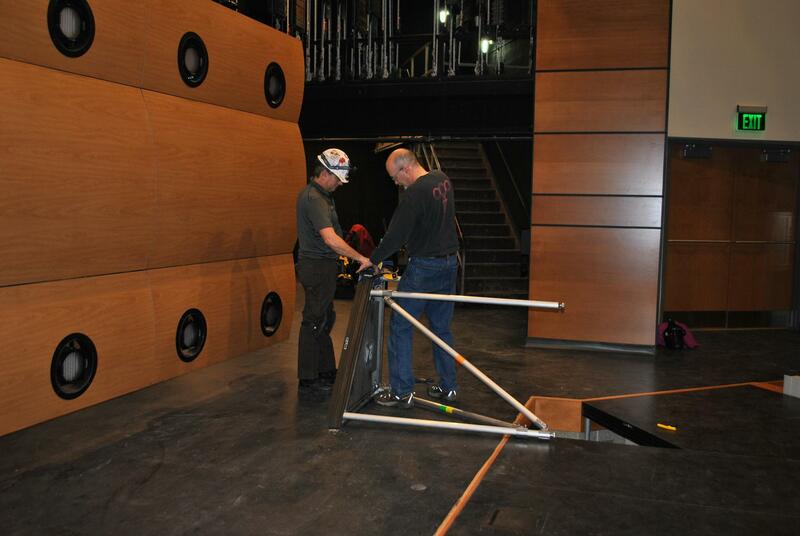 Moline High School’s 62-year-old auditorium has been undergoing a transformation over the past year. 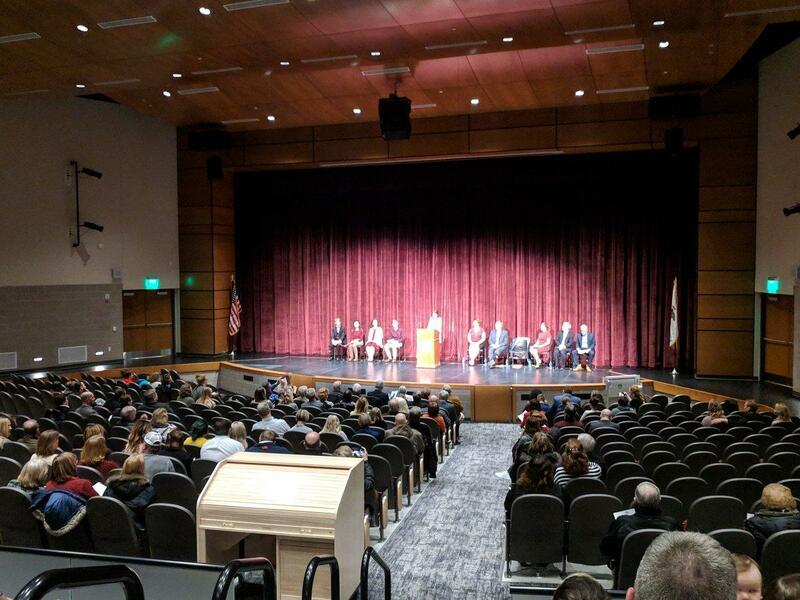 On Thursday, March 7, over 150 students, faculty and community members gathered to celebrate the facility’s reemergence as the Bartlett Performing Arts Center at Moline High School. 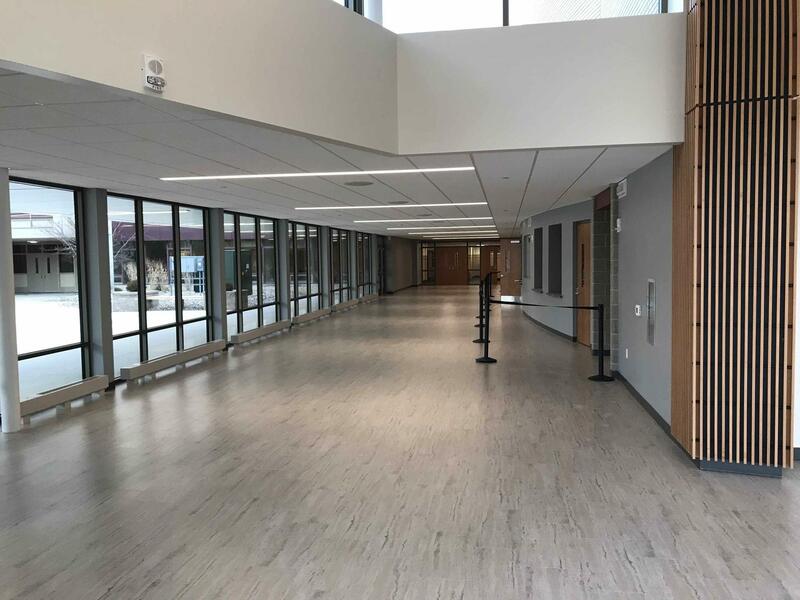 The event included presentations by district representatives, a MHS student, the Bartlett Foundation, and the design/construction team, as well as an official ribbon cutting and an open house. 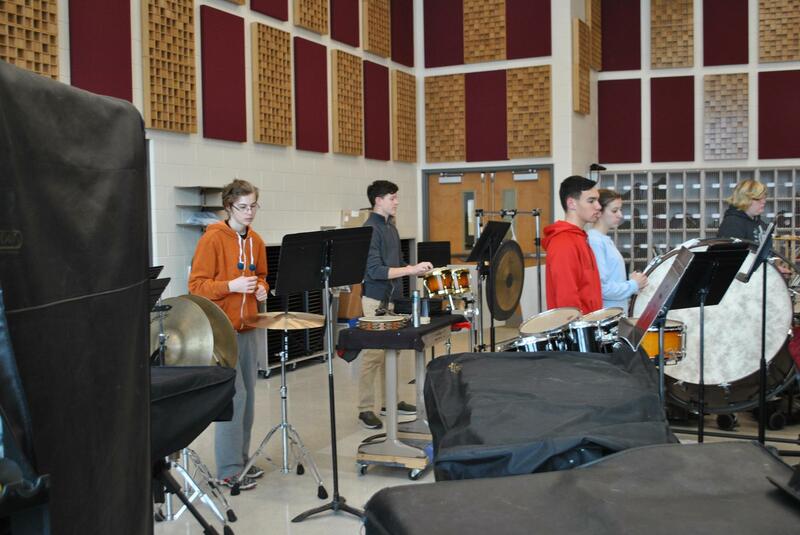 The following evening, a Performance Preview event/open house was held, featuring short performances by students and community members in choir, band, orchestra and theater. 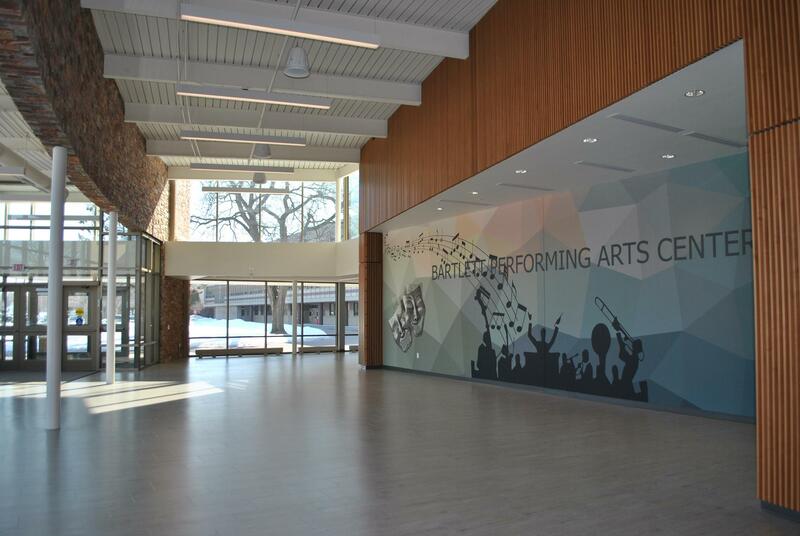 The expanded and renovated Bartlett Performing Arts Center, designed by Legat Architects and built by Russell, not only enhances Moline High School’s fine arts curriculum, but also creates a regional performing arts destination. 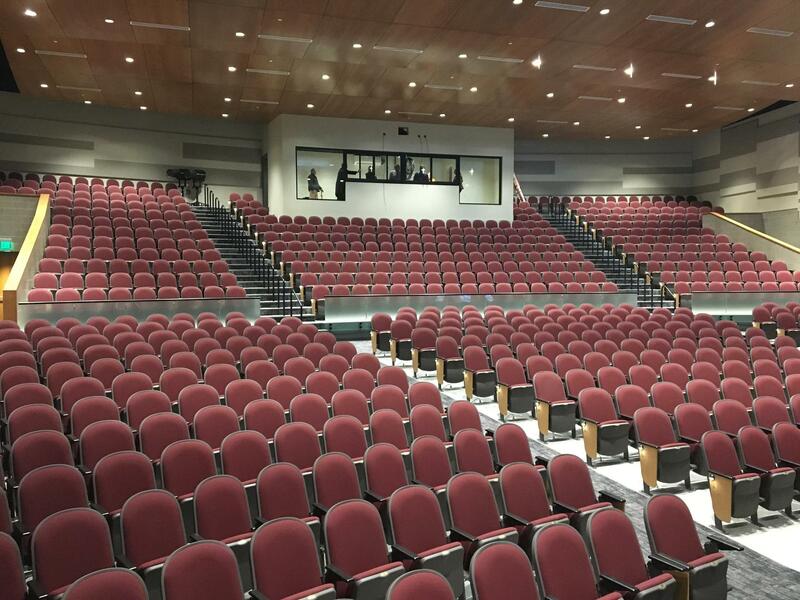 A 35,000-square-foot makeover converts the old single-slope auditorium into a professional-quality venue with 800 stadium-style seats, all-new lighting and audiovisual systems, and handicap upgrades. 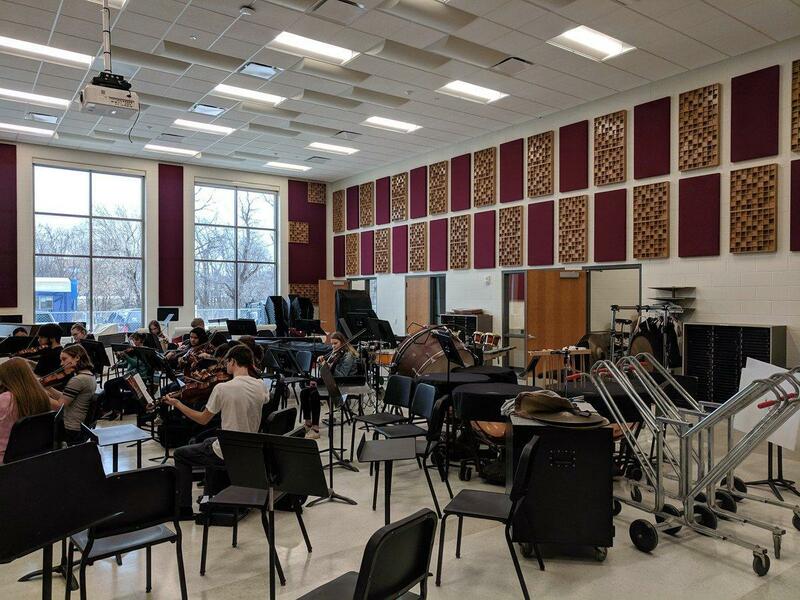 Other renovated spaces include dressing rooms, practice rooms, a concessions area, and a scene shop with garage doors that open directly to the stage and to the outdoors. 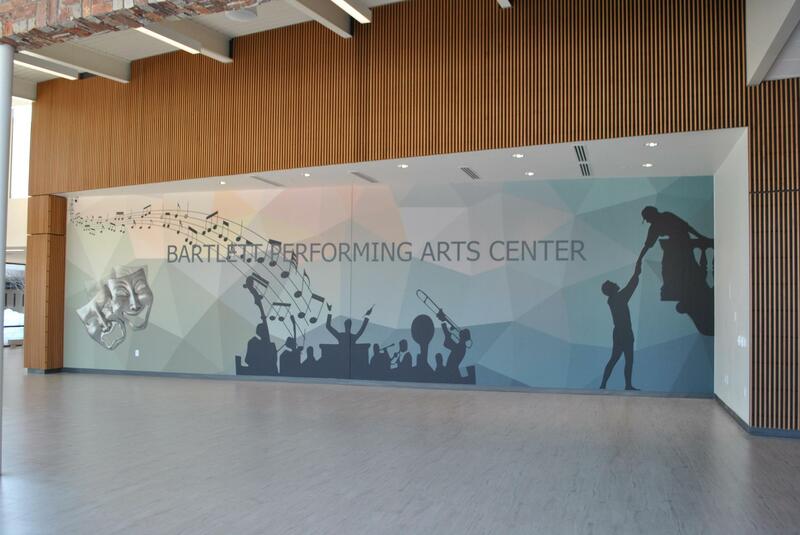 The 10,000-square-foot addition features a curving glass wall that displays to passersby nighttime activity in the new lobby, where a 40-foot-long graphic introduces the Bartlett Performing Arts Center. A stone “river wall,” inspired by Moline’s location between two rivers, spans the lobby and flows from the main entry to the back entrance. 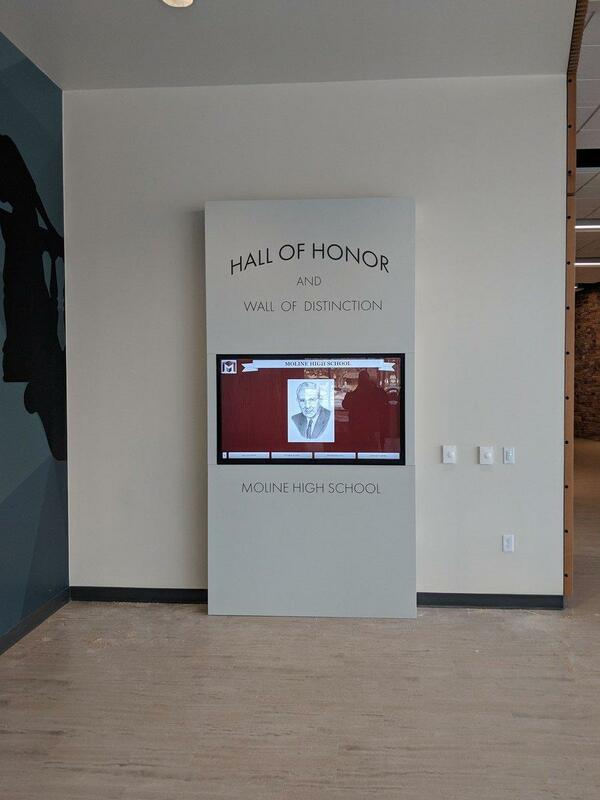 A niche within the lobby has a digital wall of fame that allows visitors to learn about MHS’s accomplished graduates with distinction. 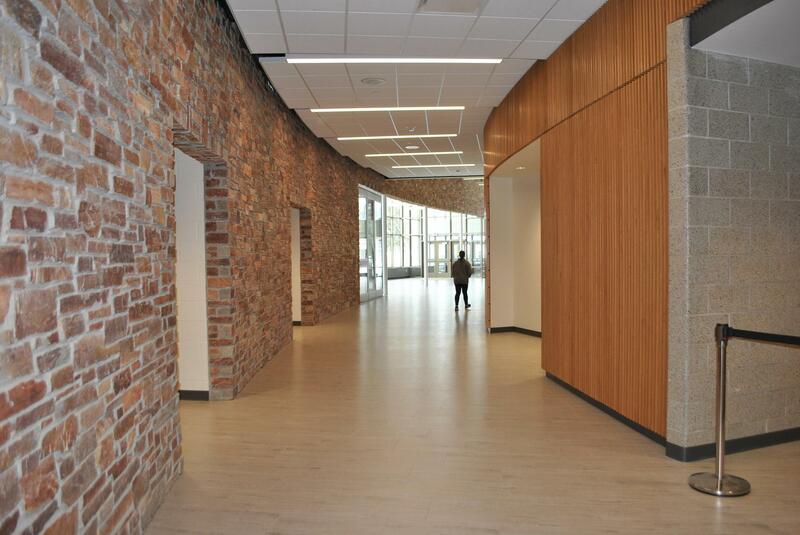 The addition also houses three light-filled fine arts instructional rooms: instrumental music, choral, and multipurpose. The multipurpose room, equipped with lighting and audiovisual systems, doubles as a black box theater for small performances. 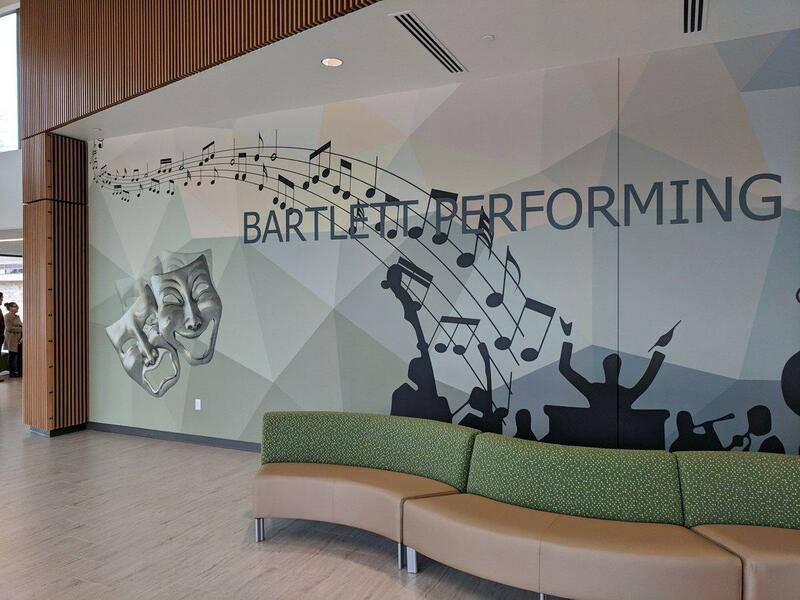 For the first six months, the Bartlett Performing Arts Center will only be available for Moline-Coal Valley School District use. Following that time, the venue will be available for community use. 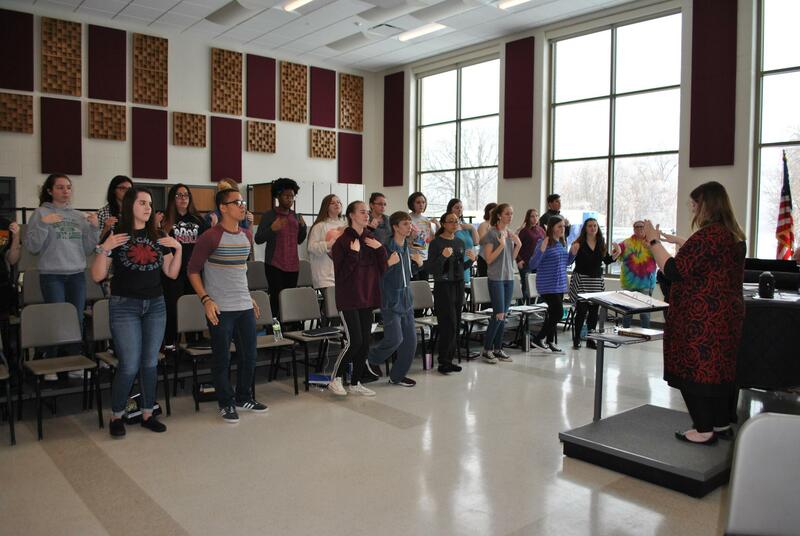 The center's inaugural performance, Meet Me in St. Louis, was performed by Moline High School students in late March. 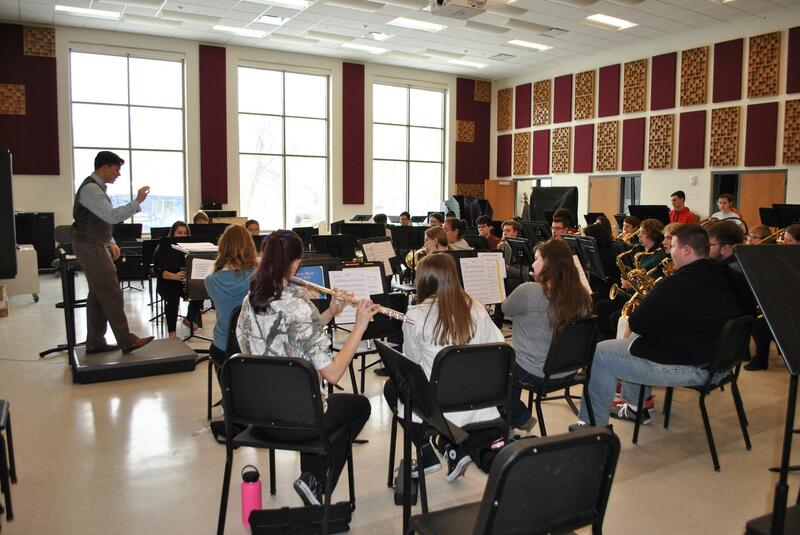 The Bartlett Performing Arts Center at Moline High School is made possible through a partnership with the Robert E. Bartlett Family Foundation. Among those who participated in the design process were Moline High School students and staff, as well as representatives of the Bartlett Foundation. Click on Photo Album link to the right to view the construction progress. 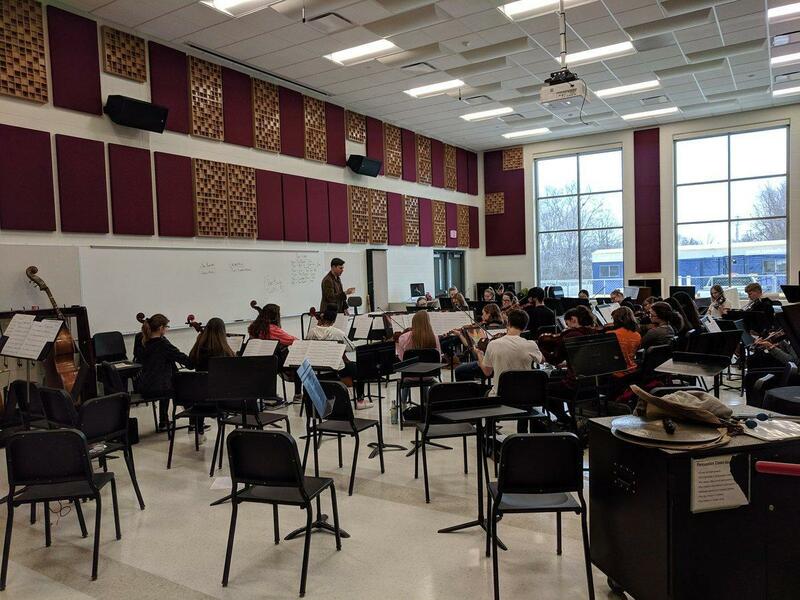 See more images and read an earlier story about the project courtesy of Legat Architects https://www.legat.com/moline-high-school-breaks-ground-bartlett-performing-arts-center/. View of River Wall, coming in from the west. Finishing final details for stage pit cover. 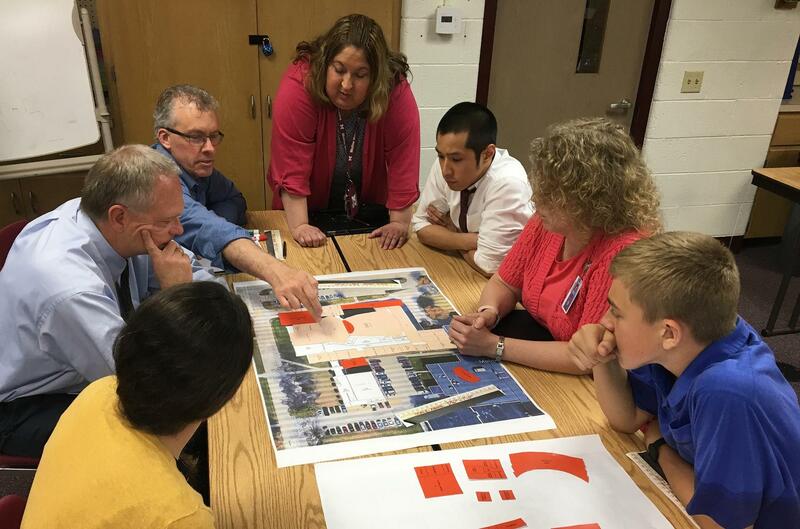 The design committee reviews plans for the new center. Design charrette with committee members and architect. Rendering of the new performing arts center.